I’ve been studying for various AWS certifications including the AWS Cloud Practitioner and now AWS Solutions Architect Associate exams. 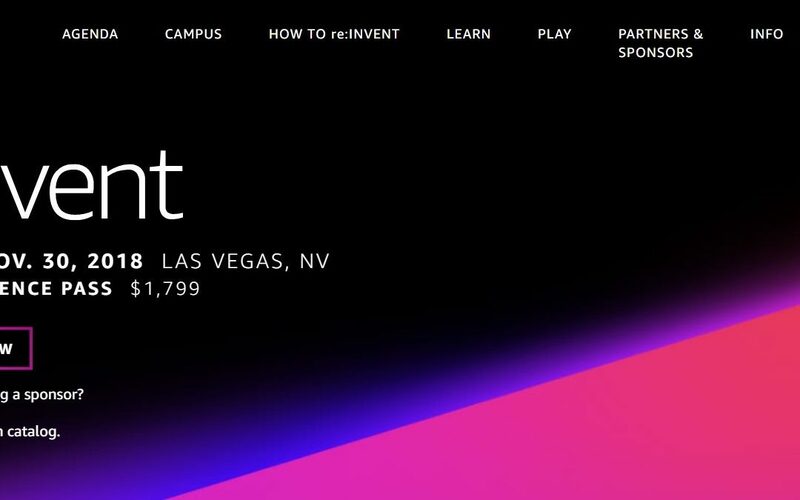 What keeps popping up, is the AWS re: Invent 2018 event in Las Vegas from November 26, 2018 to November 30, 2018. Here is where everything AWS cloud computing is presented, discussed, bootcamped and for those advancing into a career in AWS cloud computing, exam taking and exam preparation. I decided to go to this event on my own simply because cloud computing is just a good idea. It allows a business to save money on IT infrastructure, support, staffing and true capacity planning. For so many years in the past, capacity planning consisted of running performance and tuning reports. Iif you had a good manager/C-Level executive, he/she then went to his management team and convinced them to invest in additional infrastructure. As it is, AWS is simply renting a computer system, data center or software platform. Terms such as SaaS or Software as a Service, IaaS or Infrastructure as a Service and finally, (in this space), PaaS or Platform as a Service. There are many more *aaS’ out there but these are the main ones out there. I will be posting things related to the AWS re: Invent 2018 such as news, photos, videos and at the event, where I am allowed, I will take photos to show the scale and scope of the event; with the operative phrase being “where I am allowed”. I believe this time and money will be will spent on this event. One note for folks who are looking to get certified with on AWS in any regimen: You should have a good working knowledge of Linux, that is, CentOS and Ubuntu. I used to be very adept at Unix systems before the advent of Linux in it’s form we see today. Of note at re: Invent 2018, there will be many parties, bar crawls, chicken wing eating contest, a Harley Motorcycle ride, a welcome party the first night with DJ Shaq (Oneil) and arguably the best party in Tech on Thursday. It is fun because its bringing back some pretty good memories and dusting off some skills. Either way, I’m on track for Solutions Architect Associate, so stay tuned to this space.